Stellar Blue Technologies, a Fox Valley, Wis. based digital marketing firm, launched a new custom WordPress employee intranet for Bergstrom Automotive. Based out of Neenah, Wis., Bergstrom is a car dealership with an experienced sales team ready to meet the needs of all guests with knowledge and enthusiasm. 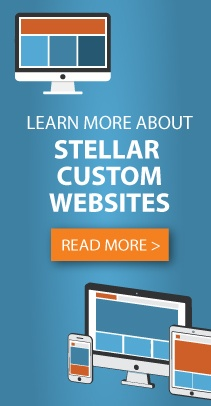 This custom-built intranet is Stellar Blue’s first completed project for the company. When Bergstrom team members use the intranet, they encounter a variety of features that make the interface unique and personal to their employment with the company. Team member birthdays and anniversaries are dynamically displayed on the home page, in addition to a custom Facebook feed. Team members are greeted by a current weather and a five-day forecast drop-down with animated icons based on the user’s geolocation. Users have access to a search form flyout, as well as sliders on the home page that feature images, text callouts, and events. The custom employee intranet allows Bergstrom team members to upload .csv files that document the birthdays and anniversaries evident on the home page. All pages of the intranet are programmatically set to private to give admins the ability to use all of the built in WordPress public page features. A hero slider on the home page shows partially inactive slides, adding to the visual appeal of the intranet design. The intranet is equipped with a Google Apps Login that requires team members to only recall one log in, as it integrates with the company’s Google Business App. User activity logging and exporting details are also available to admin.